Surveying the New Testament series unites nineteen esteemed Bible teachers, to accomplish one lofty task: to provide a user-friendly, theologically conservative, and financially affordable resource within the grasp of every serious student of the Word. This series provides a big picture overview of all 27 books of the New Testament, one chapter for each book. Each chapter begins with a concise introduction, followed by a carefully constructed outline and survey of each respective book. 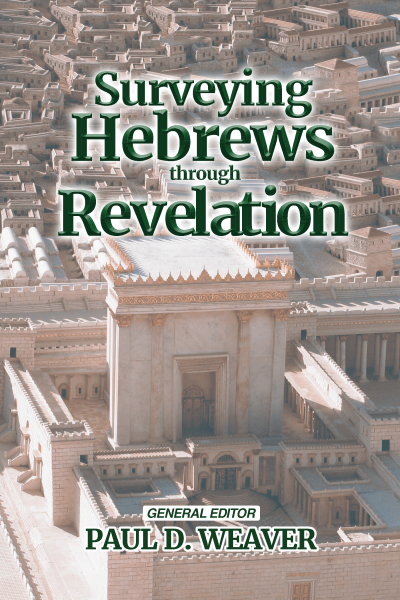 This survey highlights the most important concepts and explains the most difficult passages. One of the very unique and exciting aspects of this project is that each of these Bible expositors donated his time and expertise to the writing of this resource. This endeavor was a labor of love. One hundred percent of the net proceeds go to the Solid Foundation Scholarship Fund. This scholarship fund helps financially needy students attend a Word of Life Bible Institute. Our Bible Institutes will help these young people to establish a strong Biblical foundation upon which they can build a bright future for the glory of God! 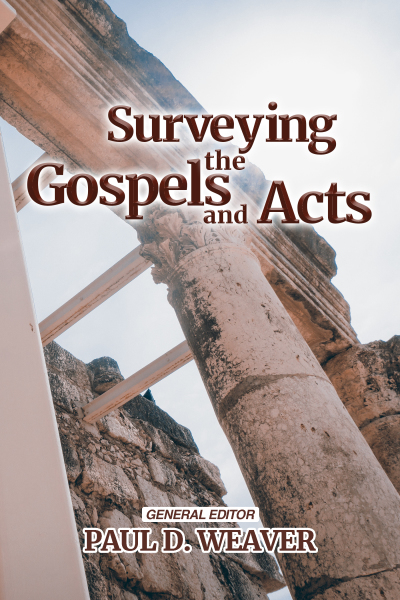 You can be confident that your purchase of Surveying the New Testament Books will help you to know God’s Word better, while at the same time support God’s global work! Paul D. Weaver is the Academic Dean of Word of Life Bible Institute. Prior to this, he was a professor of Bible and Theology for 13 years at the Word of Life Hungary Bible Institute. Eight of those years he was also the Bible Institute Director. Paul is a graduate of the WOL Bible Institute (Schroon Lake, NY). He also earned a BA from Appalachian Bible College in Theology, and a Master of Theology from Dallas Theological Seminary, and Ph.D. in Bible Exposition at Baptist Bible Seminary (ABD). Paul and his wife, Jill, love the opportunity to prepare future missionaries, pastors, teachers, and lay-leaders to serve the church of Jesus Christ. 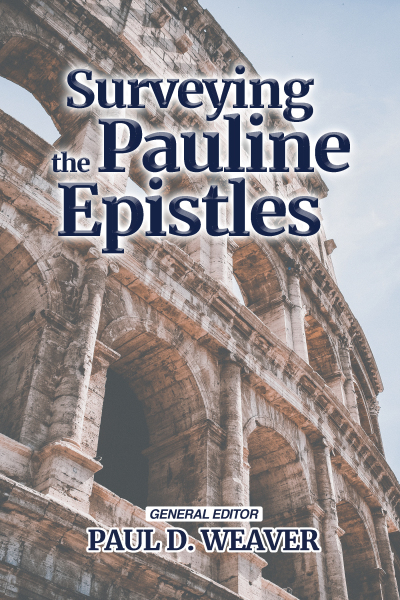 Paul is also passionate about providing high-quality Bible study resources, that are affordable, within the reach of anyone serious about studying God's Word. The 19 contributors of this series are comprised of college and seminary professors, as well as veteran pastors. All of these contributors serve as resident or adjunct faculty of Word of Life Bible Institutes internationally. Each one is committed to the inspiration and inerrancy of Scripture. Charles Bethel, A.A., B.A., M.A., Ed.D. Stephen Bramer, B.Th., Th.M., Ph.D.
Dept. Chair and Prof. of Bible Exp. Daniel Carfrey, B.A., Th.M., D.Min. Thomas Constable, B.A., Th.M., Th.D. Christopher Cone, B.S., M.B.S., Ph.D.
Calvary Bible College and Theo. Sem. Tom Davis, B.A., M.Div., D.Ed. Ed Glasscock, B.A., M.Div., Th.M., Th.D. Alex Konya, B.A., M.Div., Th.M. Eugene Pond, B.S., M.S., Th.M., Ph.D.
Stanley Toussaint, B.A., Th.M., Th.D. Steve Winget, B.A., M.Div. Th.M. Assoc. of Baptists for World Evan. 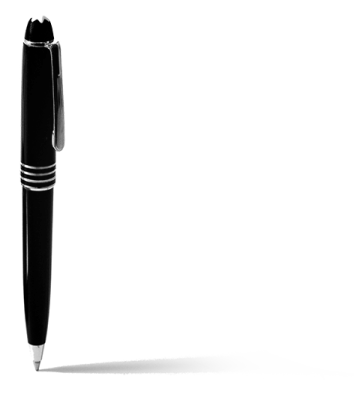 Sign up to be notified of new books, videos, and free resources.